It looks like the months upon months of high-level negotiations are actually going to pay off. 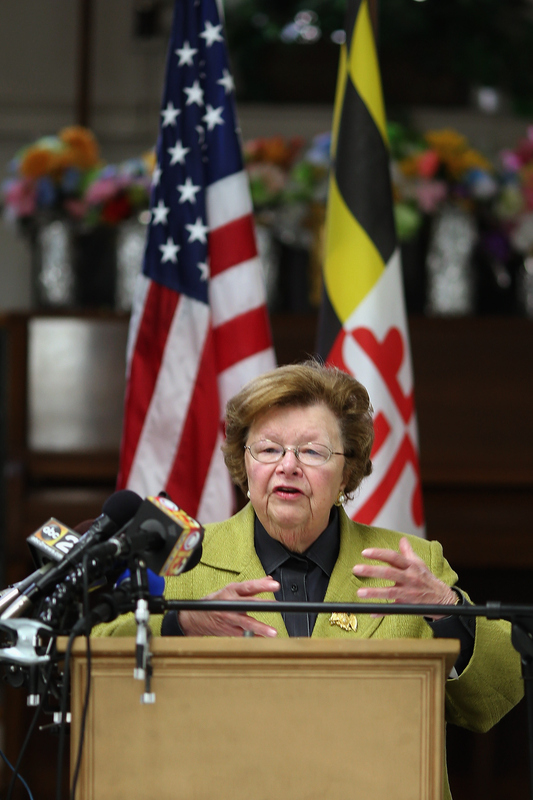 On Wednesday, Maryland Senator Barbara Mikulski committed to be the 34th Senate vote in favor of the Obama administration's Iran nuclear deal — the benchmark necessary to prevent a veto override by congressional Republicans. It's a crucial move for global security, foreign confidence in American negotiation, and the administration's legacy. In short, Barbara Mikulski's Iran deal vote shows her political courage, with the end of her Senate career looming. Earlier this year, Mikulski, a five-term senior Senator, announced her intention to retire rather than pursue reelection. This means that she's only got until January of 2017 to make her remaining political impact felt. After that, her legacy as a lawmaker is a matter for the history books. And by embracing the Iran nuclear deal, a major agreement with massive international implications, Mikulski is showing that she isn't shying away from the bigger calls as her career winds down. There's a lot of pressure to reject the deal from the American right, as well as from right-wing factions within Israel, including Prime Minister Benjamin Netanyahu. Israel has traditionally been one of America's few allies in the Middle East, so the deal is not without risk. Moreover, some opponents of the Iran deal have been ferocious, and flanked by prominent Republicans. Protesters gathered outside the office of New York Senator Kristen Gillibrand on Tuesday to make just this point, with South Carolina neoconservative Lindsay Graham in attendance. One reason this is such an act of political courage: As the crucial 34th Senator to come out in support of the deal, Mikulski will likely go down in history as the deciding vote that enabled it. This is a silly, reductive way that we sometimes look at politics — obviously, her vote carries no more inherent power than those of the other 33 senators who've signaled their support. If Bernie Sanders woke up tomorrow and thought "actually, I can't do this," then boom! That "deciding vote" label is no more. No deal is perfect, especially one negotiated with the Iranian regime. I have concluded that this Joint Comprehensive Plan of Action is the best option available to block Iran from having a nuclear bomb. For these reasons, I will vote in favor of this deal. To be clear, the administration getting assurances that they've passed the 34-vote threshold is effectively the difference between a deal or a no-deal. The Republican congress can attempt to override the deal with a resolution of disapproval, but that's a much heavier lift than a straight up-or-down vote. Thanks to the president's veto pen, which he'll be sure to use if they pass the resolution, they'd need a two-thirds majority to be able to override it. Simply put, thanks to 32 Democrats (and two independents — the aforementioned Bernie Sanders and Angus King), the deal will hold up, barring any unforeseen defections. So if you also support the negotiations, take heart. It may have just been saved by a longtime Democratic trailblazer, who just added an incredibly big bullet point at the end of a vaunted resume. How the deal ultimately works out remains to be seen, but we'll find out soon.